We all know what Ralphie really, really, really wants for Christmas! 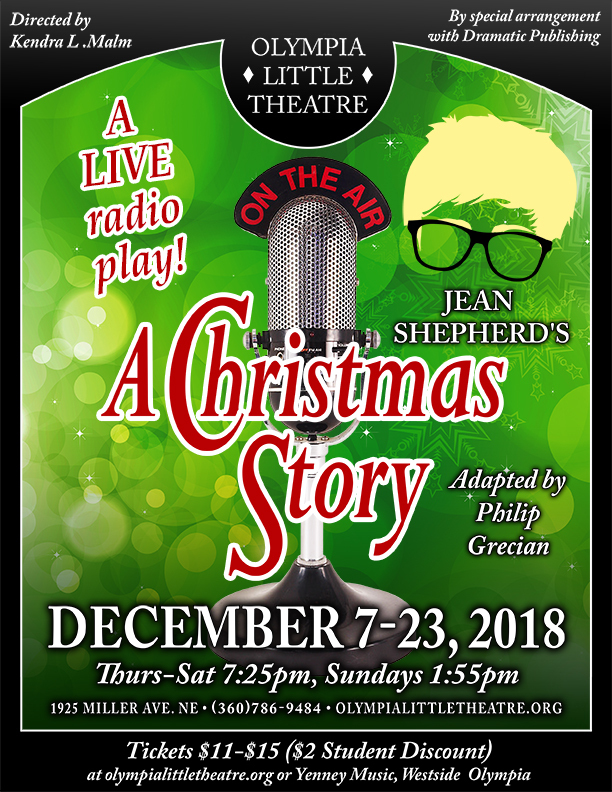 Humorist Jean Shepherd’s memoir of growing up in the Midwest in the 1940’s brought into the 1970’s in a LIVE radio play. Hear amazing voices and watch as we create all the classic sound effects right in front of your eyes in the KOLT studio in the Holiday classic. Come see this fabulous twist on the beloved story of a boy, his family, his friends and, of course, the leg lamp!